Are you struggling with a number of symptoms like fatigue, thyroid issues, aches and pain, allergies to foods and the environment, forgetfulness, hormonal imbalances, etc? Have you tried drugs and even visited alternative health providers who recommended supplements, herbs, and other natural remedies or therapies with little to no improvement? Are you frustrated and losing hope in your ability to ever heal? You are not alone! Most health conditions are multifactorial and can be caused by genetics, infection, environmental factors, etc. 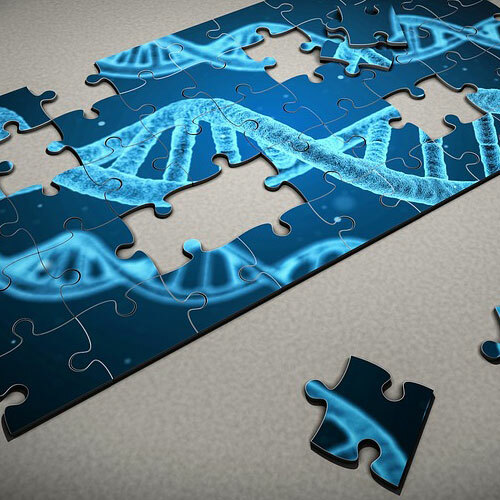 Is Methylation the missing link? Methylation addresses the genetic component. This can be a missing link to addressing the root cause of your health issues. Many health providers are not fixing the methylation biochemical pathways in its entirety to help you fully heal. It is crucial to fix the methylation problem holistically with all 30 genetic defects and not just one defect. These biochemical pathways work in tandem for the cells in our body to work together to improve function, prevent diseases and optimize health. A methylation mutation may cause a protein/ an enzyme to work improperly or at a decreased capacity causing problems with our metabolism, healing, and health and can result in chronic infectious diseases, increased environmental toxic burdens and altered brain chemistry etc. How do you fix a genetic methylation problem? We evaluate your genetic defects through genetic testing, kinesiology (muscle testing) and bypass these genetic glitches with nutrition and supplements. Over time, we correct your imbalances, relieve symptoms and optimize your health! Common complaints and how proper methylation resolved these health problems? Fatigue: Proper methylation helps with efficient energy production. Methylation boost the immune system to fight infections, breaks down adrenal hormones (adrenaline and noradrenaline), makes the strongest antioxidant (glutathione) to fight free radicals and protects the thyroid all of which increases energy and therefore, combat fatigue. Aches and Pain: Proper Methylation helps decrease inflammation by producing a natural anti oxidant (glutathione) and helps remove sources of inflammation/pain like toxins and infections. Depression: Proper Methylation increases serotonin and dopamine which helps make people happy and then some! Anxiety/ sleep issues: Proper methylation increases GABA (a brain chemical) and breaks down glutamate and adrenal hormones (adrenaline and noradrenaline) which calms people down and also helps with sound sleep. Allergies and food sensitivities: Proper Methylation repairs the gut lining and repairs damaged cells as well as regulates histamine release which helps increase tolerance to foods and allergens! Impaired methylation can be the root cause of your health issues. We can evaluate and design a program that modifies how your genes are expressed which reverses disease and allows you to enjoy vibrant health instead.